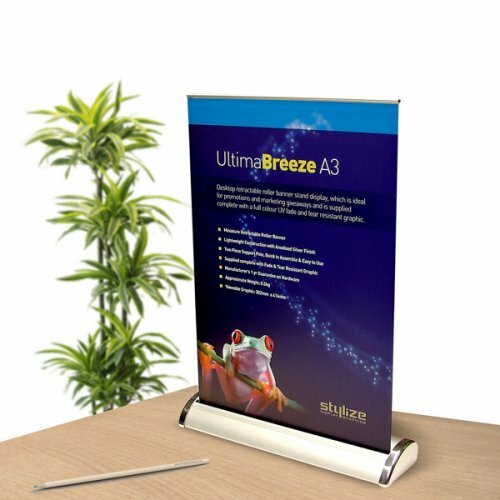 The most popular style of banner stand available on the market today, often referred to as pull-up, roll-up or even pop-up banner. 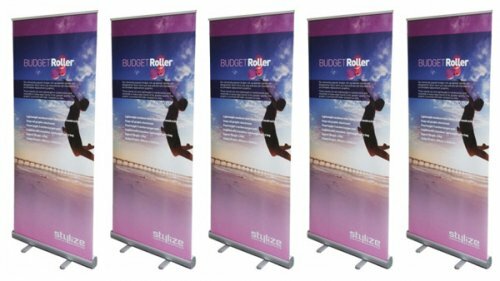 Roller banner stands are the easiest to use, the graphic is housed in the base unit and is simply pulled out under tension and then the rail is located onto the stand pole. This type banner stand can be assembled and ready to display in less than 60 seconds. With lots of styles and sizes available, from the simple and functional single-sided stand to the deluxe double-sided versions, we are sure there will be a stand to suit all tastes and budgets. Replacement graphics are available for most of these systems although we recommend viewing our Cassette Banner Stands if you wish to change the graphics often ie for seasonal promotions. We got the banners yesterday thank you, we're all really pleased with them. It's fantastic! We love it! And so easy to set up. This will really help us with our events in future. 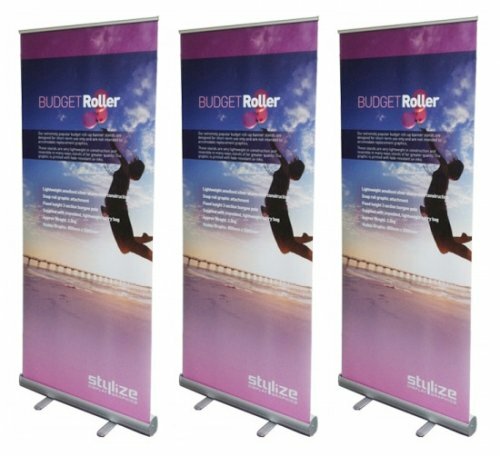 Over the last few months Stylize have provided us many banner stands and excellent customer service. I have found them to be professional, courteous and extremely accommodating when we required several items at short notice for an exhibition. I would like to personally thank you for all your help. 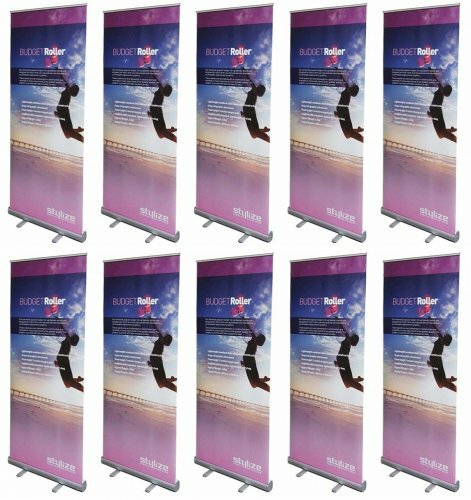 10 banner stands for under £600 you cannot go wrong! As the write up says ... "designed for short-term use only" ... however, these banner stands are more than acceptable for short term displays or where you are on a tight budget! If you are careful and look after them they will last!!!!! Thank you for the banner which arrived safely and looks great! My client is very happy with the quality and quick turnaround. Just wanted to pass on their, and our thanks. The simple roller system is neat and easy to use. Print quality from Stylize is very good and the colours are consistent from batch to batch. We've got loads of this style. We bought 5 budget banner stands from you last week and I thought you might like to hear of some very positive feedback. I've just had an email from our client to say how pleased they are with them, they're just what was hoped for. (I wouldn't be surprised if they ordered some more of these later in the year.) Many thanks for turning the job around so quickly, it was a pleasure to deal with you. !